Chancel repairing rights are ancient rights that can bind property owners (in parishes where a church was built before 1536) to contribute to the cost of repairing the chancel of the church. The chancel is the part of an Anglican parish church containing the altar and the choir. Claims for contributions are rare, but do occur occasionally, and can be for a significant sum. There has been a case (Aston Cantlow v Wallbrook 2003) where the original repair bill was around £100,000 but a failed attempt to challenge the liability resulted in eventual costs of over £400,000. 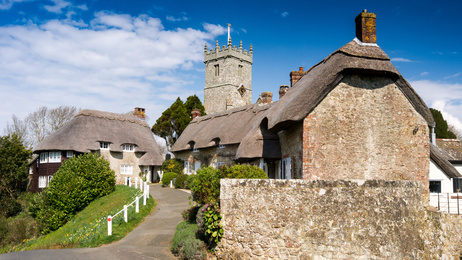 Until 13 October 2013, chancel repair liability had the status of an ‘overriding interest’, which means that the liability is not usually specified on the title deeds, but binds anyone purchasing the affected land, even if neither the seller nor buyer was aware of the potential liability. From 13 October 2013, chancel repairs liability is no longer an overriding interest. This means that if there is a historic right to levy a repairs charge, the right must now be registered at the Land Registry (by the parochial church council for the relevant church) against the titles of properties affected by the liability. The presence of a chancel repairs liability notice on the registered title can impact significantly on the value or saleability of the property. Late registration of a notice (i.e. after 13 October 2013) is only permissible where a property has not been sold on to a new buyer after that date. If a search reveals that there is a potential liability but a notice has not yet been registered, indemnity insurance for the risk can be purchased for a modest ‘one off’ premium. Once a property changes hands as part of a sale transaction for a monetary sum, the liability becomes unenforceable against subsequent owners. However indemnity cover is not easily available if a notice has been already registered so it is better to arrange insurance before it is too late. For more details, or if you own a property within a parish with a pre 1536 Anglican church, and you would like a chancel repairs search carried out, please contact a member of the real estate team at Prettys on 01473 232121 or commprop@prettys.co.uk.